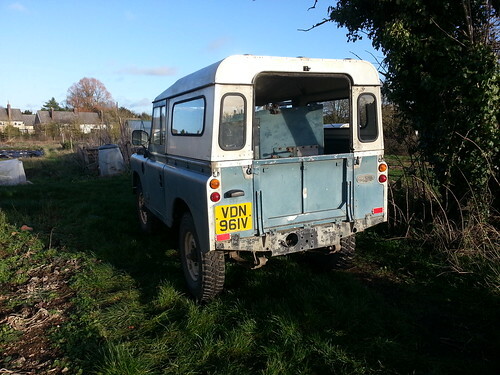 Series 3 & 90-110 Owners Club // View topic - Urgent help required in fitting a tin top! 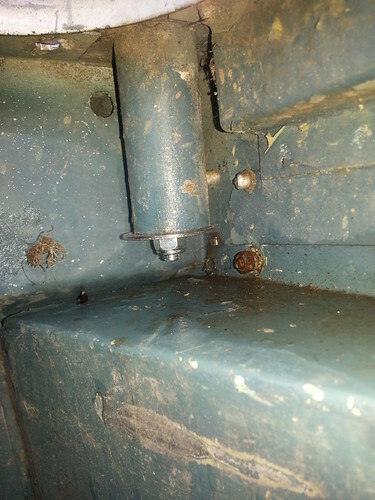 Urgent help required in fitting a tin top! Are you doing the swap single handed? If so best of luck and have fun. Thanks Alan, yes going for single handed to start as the canvas has to come off and the hoops, also the sharkstooth rail needs to be removed from the screen by drilling the rivets out. Trying to time it for when kids get off the bus from school. 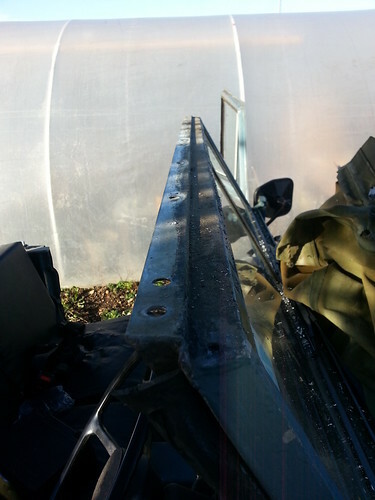 I shall be on my allotment in our old village as this is where the roof is, they have been told to meet me there. 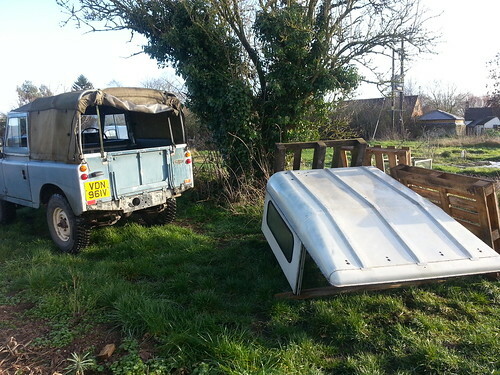 When ready if I can't man-handle the roof onto the Landy on my own hopefully my skinny 15 year old can muster the strength to help in on when they turn up! However as he only has strength in his thumbs from modern technology I may have to grab one of the old ladies on the allotment to help me!! 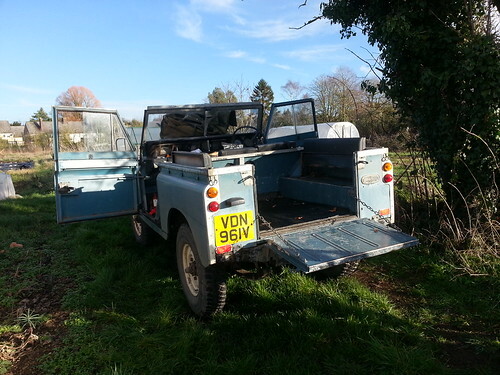 It is doable to fit a hardtop on your own. They are bulky but not heavy. I used to take off and refit mine on my own as a teenager. They are heavier with windows and headlining fitted though. Mine was just a basic plain hardtop. Definitely not a job for a wet and windy day too, as you mentioned! 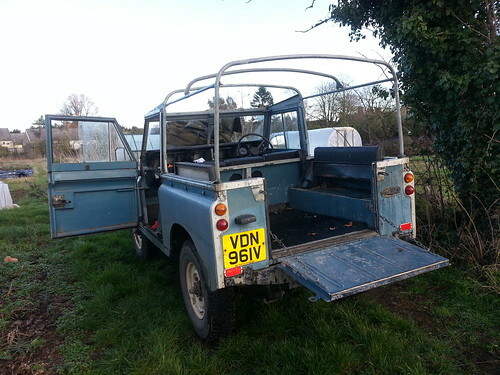 Are you having a lift up rear top tailgate or a safari door? Thanks for that Rich, gives me a bit more confidence! I have a safari door that also happens to be in faded marine blue so will hopefully match and look like it has always been there!! 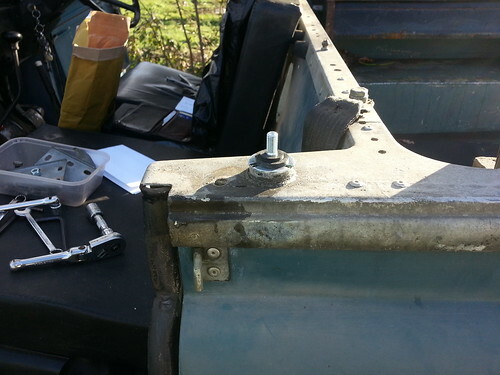 Once home the tail gate will come off and door on. 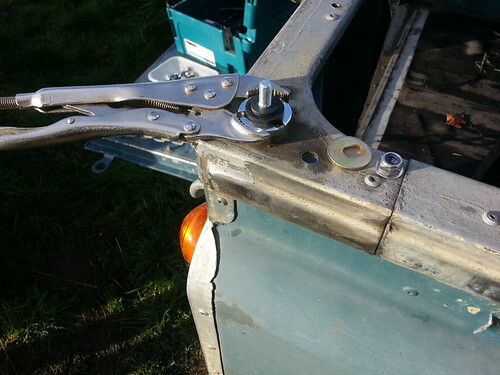 I have a new set of stainless fixings to make the job easier. Lots of pics tomorrow and a breakdown of whats needed/part numbers as a reference for anyone in the future. Don’t forget a 7/16 AF spanner and socket! Good luck with the swap Adie - hope everything goes smoothly. Hi guys, busy day today getting roof done. 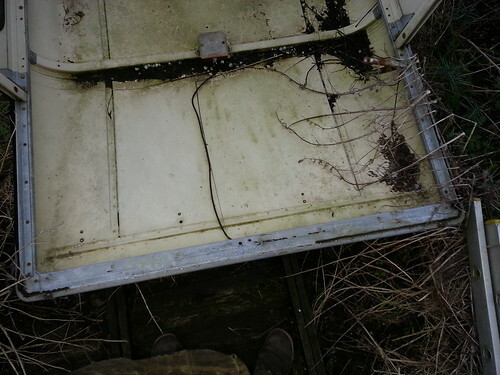 This is the roof as dug out the weeds on the allotment! 2 years certainly takes it's toll! Washed it down as best I could as on the allotment with no running water, only rain water collected, a bucket and broom! Roof finally on. 2 hours total. All I have to say Rich, is as a teenager your back and neck muscles must have been in a lot better condition than mine now!! I am currently mixing paracetamol, ibruprofen and red wine for the pain relief!!! 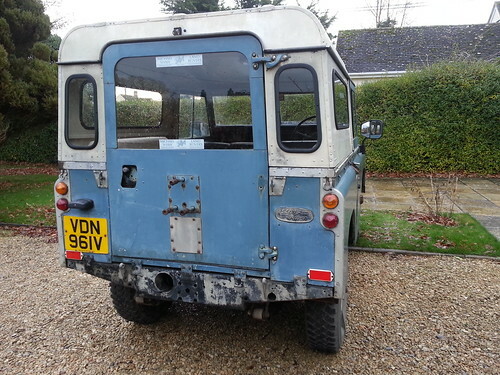 Now home I need to do quite a bit of fettling and need to remove the tailgate and fit the rear door. At least the bulk of it and the hard part is done! Well done Adie. How about a write up for the magazine? For fettling read hitting as hard as possible with a big hammer! Looking good Adie! The hardtop is a nice straight one too. Some headlining is good to help reduce condensation. And I find a nice ale helps with back pain. Looking good, nice and straight. 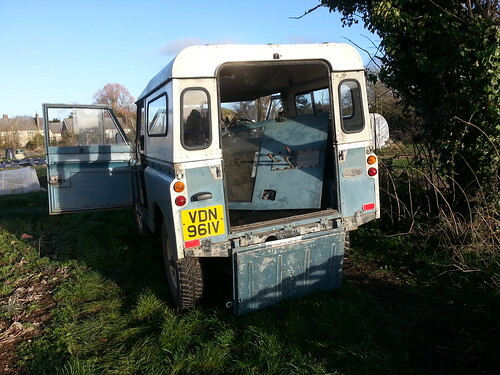 Final fettling today and getting the rear door on, which on your own is somewhat tricky! Some blocks of wood and the wheely bin lying on it's side created a makeshift platform to line up the hinges to the body. Also had to hose out the back as it was full of mud, grass and oily rags! Finally after 41/2 hours the chariot is ready for drunken women! 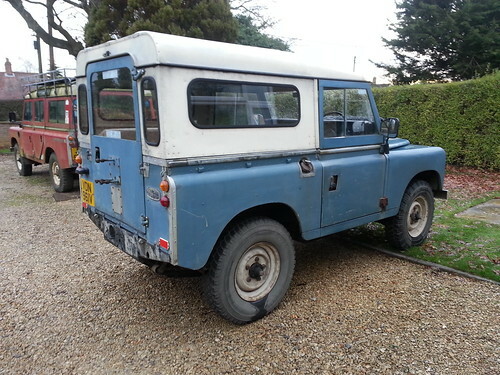 Amazed the door which is from another Landy matches so well! You'd think it had always been there! 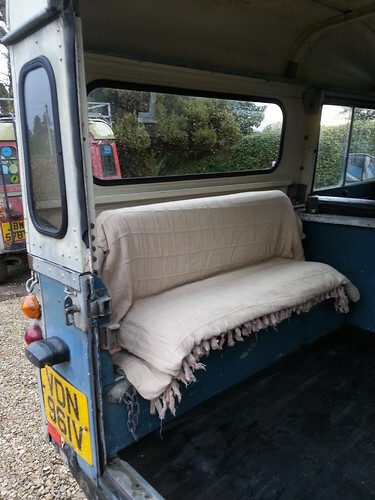 Rear seats and side windows? The height of luxury. Just returned from ferrying giggling drunken women home! All went well. Much laughter from the back particularly when going along the bumpy country lanes! Amazed at how warm it got with the heater on and having a fully enclosed cabin! Luxury! First time I have driven it in the winter and not got numb fingers! One thing does need to be addressed though and that's a step at the back. Two of the shortest ones I had to carry out the back! And you’ve got a deluxe interior! I hope the drunken women appreciated it!